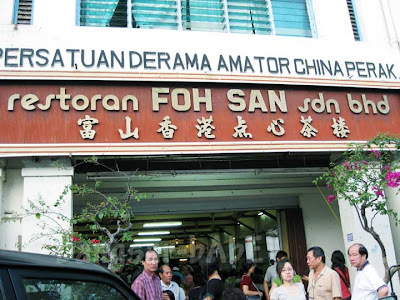 Foh San is one of the most famous dim sum shops in Ipoh, and is usually a must-stop place for tourists when they visit Ipoh. We were no exception. The place is always packed, so it’s best to get there early. We got there by 6.30am, and the place was already quite full with patrons having their share of dim sum. The minute we secured a table, we started eating like no tomorrow! 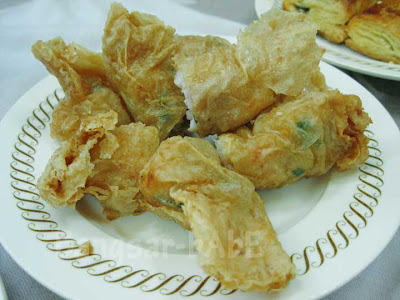 The wu kok was tasty and not too greasy. 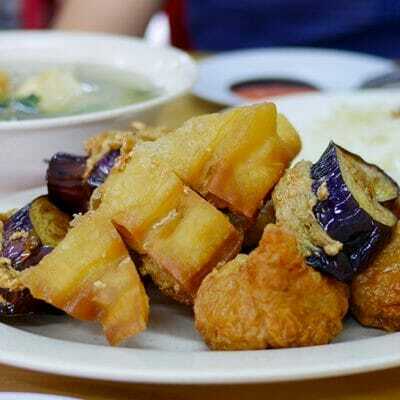 Its crisp exterior gave way to a soft yam paste and savoury char siew filling as it melted in my mouth. *just the thought of it makes me salivate! 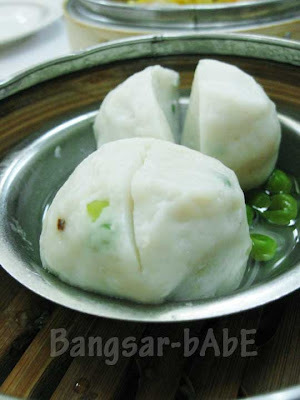 * I usually don’t like eating har gao because the skin is often too thick and starchy. 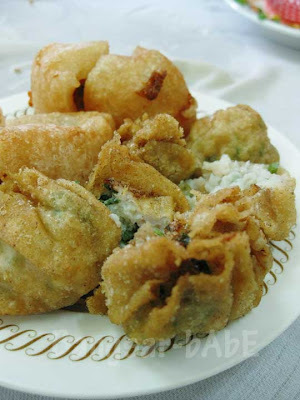 But this har gao was quite good! 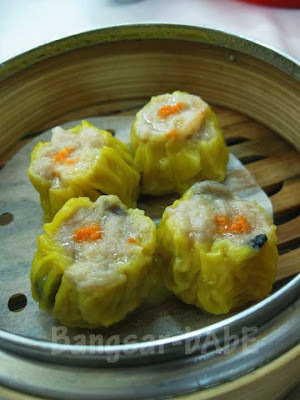 The translucent skin was thin and light with a generous portion of sweet, bursty prawns wrapped beneath. 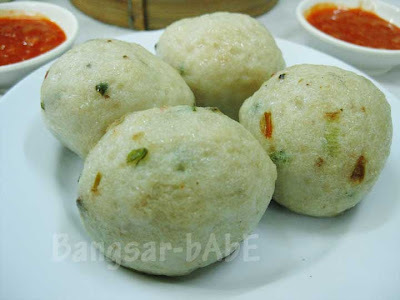 We enjoyed the siew mai , and did a double order for this and the har gao. The pork filling was nice and firm. I enjoyed every bite. The char siew pau was also quite tasty. 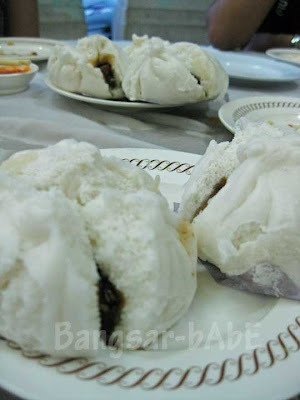 The steamed bun was light and fluffy with the same char siew filling as the wu kok. 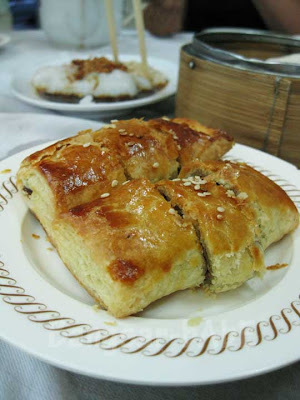 Served fresh out of the oven, the Char Siew Sou was flaky and scrumptious. It was better than most of the char siew sou I had in KL. Upon seeing this crepe-like dessert, I got curious and decided to try it. 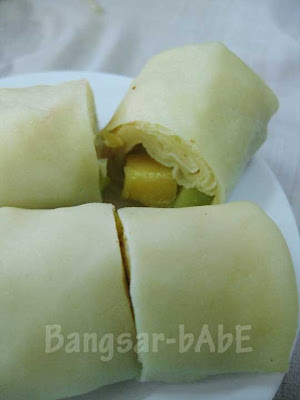 It’s basically mango pieces, cucumber slices and mayonnaise wrapped in a pancake. I found the combination strange and didn’t quite take to it. 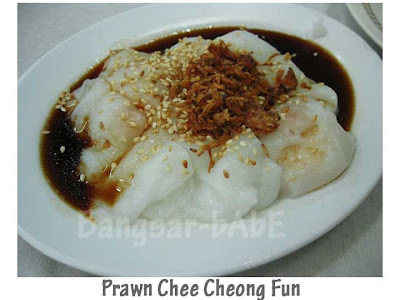 The chee cheong fun (both char siew and prawns) were silky smooth and glides down the throat. The prawns were fresh and crunchy while the distinctive flavor of the Char Siew was a contrast to the silky smooth rice sheets. Of the two, I liked the char siew better. 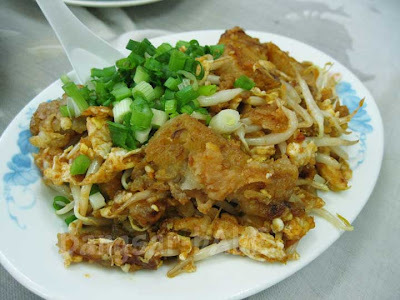 The fried carrot cake had plenty of beansprouts, eggs, dried shrimp, garlic and spring onions. 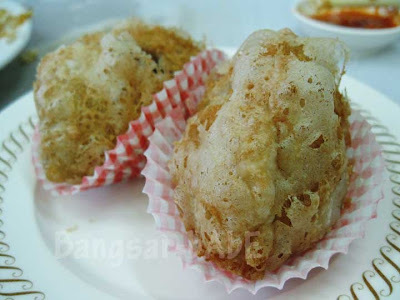 This was one of the better fried carrot cakes I’ve tasted so far. We polished this off in less than 5 minutes. 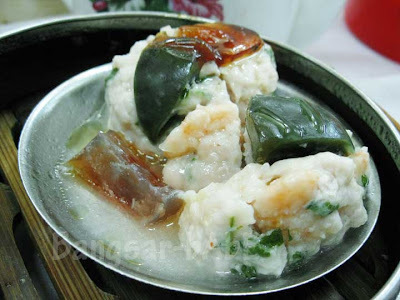 I’m not a huge fan of Loh Mai Kai, but the rest of them enjoyed it. Same goes for the lotus wrapped rice. 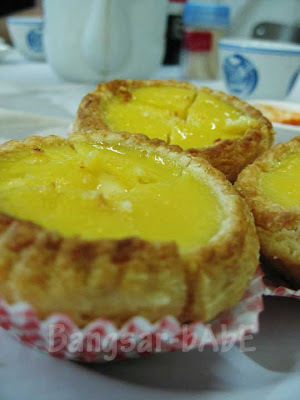 Flaky, light and crumbly, the egg tarts were sublime! Jeen found the pastry at Foh San slightly better than Nam Heong. I agree with her. The smooth egg custard was firm and had just the right sweetness. Believe it or not, the 5 of us ate 40 plates of dim sum! Yes, we are gluttons. And the bill came up to less than RM100 which I thought was pretty good value, considering the amount we ate. i remember this place..the days of waking up at 6am before the trip back to KL…ohh cant remember nuts to be honest haha..was too young.. This is my greatest shame! Despite all the repeated fab reviews of Foh San, I have not managed to make it back as an adult, responsible for my own meals. I remember it vaguely from when I was 8 or 9…. 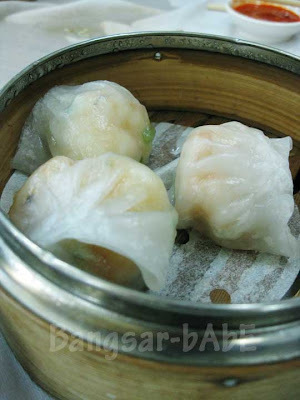 of course dimsum then did not have the same effect it has on me now. After reading your post, I can totally see why Foh San is a must-stop. 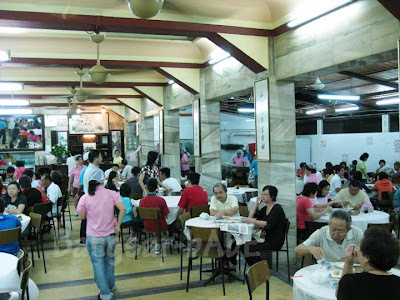 I’m amazed that the place was packed at 6:30 a.m. And the restaurant looks huge, which surely means that a “packed” house can easily exceed 100 hungry people. 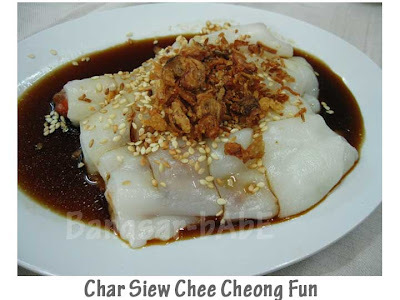 Some of the dim sum you ordered was new to me, and I have to say, you made me really hungry for some wu kok and both kinds of chee cheong fun! Mmm, 40 plates of dim sum sounds really good right now. I love the atmosphere here, esp with the old and the young dining here. definitely bigger portions vs Ming Court. 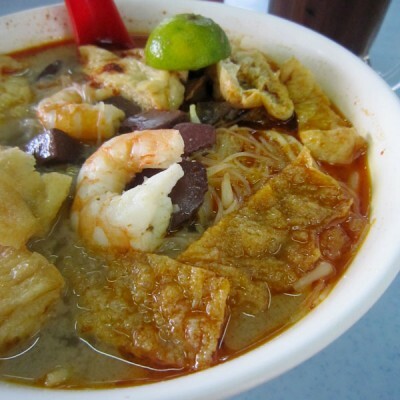 550ml – Make a pit-stop on your way to Penang next time! SimpleGirl – Hopefully with the new building up, we don’t have to wait so long for tables! 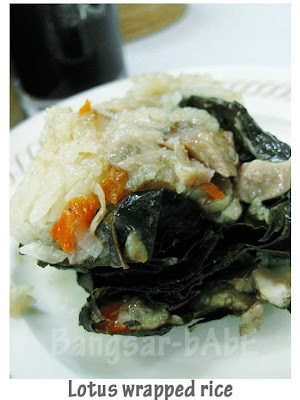 you missed out on the “sang chow” glutinous rice. Been there the last 3 times since Dec 08 and did not get a table. Have to go off disappointed. Can’t stand standing next to someone else’s table. The natural looking delectable pixs certainly do justice to your 8 to 1 helpings like True Gluttons even we will be proud of !